He Sees You When You’re Sleeping, and Gives You Nightmares – #Krampus – @nytimes « Adafruit Industries – Makers, hackers, artists, designers and engineers! He Sees You When You’re Sleeping, and Gives You Nightmares @ NYtimes.com. Hairy Christmas, everyone! Perhaps you’ve noticed an angry, goat-ish creature infesting the Adafruit Learning System and Show & Tell recently. Latest cosplay fad? 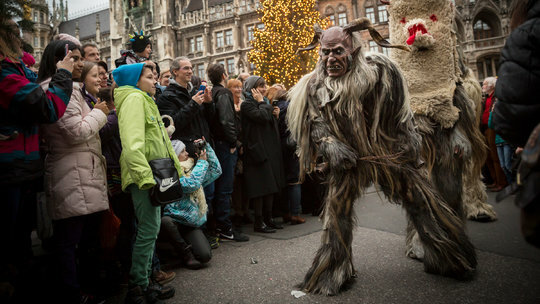 Nope…Krampus dress-up dates back centuries!